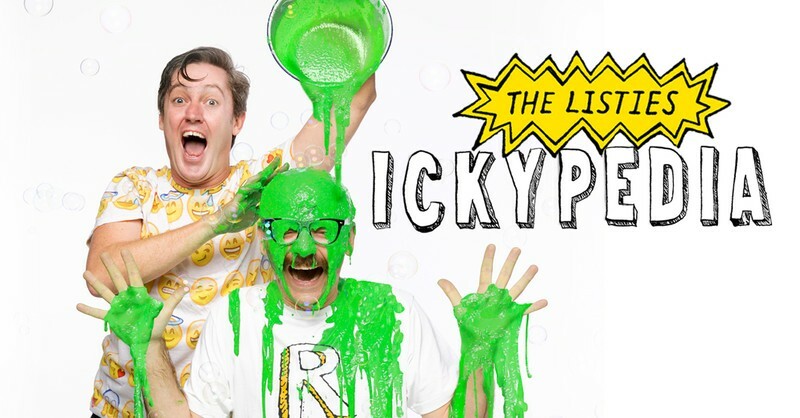 Australia’s favourite kid comedians The Listies are bringing their high-energy, ridiculously funny, kid-tastic antics to Monkey Baa during the Summer School Holidays (10-23 January, 2019). Ickypedia brings Rich and Matt’s best-selling book of the same name to the stage in a show full of puns, silly walks, poo-humour and side-splitting hysterics. “A dictionary of disgusting new words", Ickypedia tackles all the life’s unimportant questions including "how do you take a Smellfie, what exactly are Udderpants, what happens if you never-ever clean your room and what exactly is Pooetry? With giant inflatable snot monster, toilet roll cannons, string spray cans, bin juice and bubbles (lots of bubbles! )…it’s a mix of clowning, slapstick, and improvised chaos that the whole family will enjoy. This is perfect holiday fun.